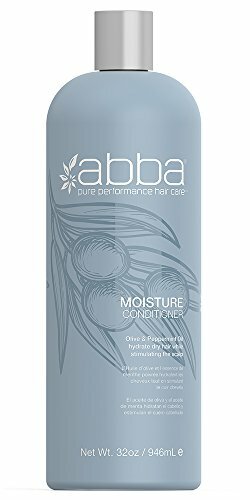 ABBA Moisture Conditioner, Peppermint, 32 Fl. Olive Butter hydrates, Peppermint Oil stimulates and Rapeseed Oil strengthens hair while adding softness and eliminating static frizz. ABBA Moisture Conditioner contains our exclusive ProQuinoa Complex with hydrolyzed Quinoa, Barley and Soy proteins to rescue damaged hair fibers. Coconut Oil and Sage work instantly to re-hydrate and protect color or chemically treated hair for unrivaled strength, vitality and shine. Drenches hair with a protective moisture barrier that reduces color fading. ABBA Color Protection Conditioner contains our exclusive ProQuinoa Complex with hydrolyzed Quinoa, Barley and Soy proteins to rescue damaged hair fibers. Ingredients - water (aqua), cetyl alcohol, stearyl alcohol, behentrimonium methosulfate (rapeseed oil), fragrance, lauryl alcohol, cetrimonium bromide, phenoxyethanol, cetearyl alcohol, dimethicone, panthenol, citric acid, hydrolyzed quinoa, cinnamidopropyltrimonium chloride, iron oxides (ci77491) mica, titanium dioxide, cocos nucifera (coconut) oil, hydrolyzed barley protein, hydrolyzed soy protein, glycerin, salvia officinalis (sage) leaf extract. Color: Color Protection Conditioner 33. ABBA Moisture Shampoo, Peppermint, 32 Fl. Olive and Peppermint Oil gently cleanse, hydrate and strengthen hair. 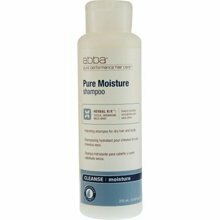 ABBA Moisture Shampoo adds softness while eliminating static frizz. Contains our exclusive ProQuinoa Complex with hydrolyzed Quinoa, Barley and Soy proteins to rescue damaged hair fibers. 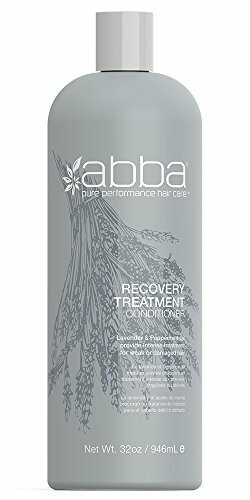 ABBA Recovery Treatment Conditioner, Rosemary, 32 Fl. Rich in proteins and moisture ABBA Recovery Treatment Conditioner uses Peppermint Oil and Lavender to condition weak, damaged hair. Contains our exclusive ProQuinoa Complex with hydrolyzed Quinoa, Barley and Soy proteins to rescue damaged hair fibers. Grapefruit and Lemongrass revitalize fine, limp hair while adding incomparable body, volume and hydration to dull, lifeless hair. 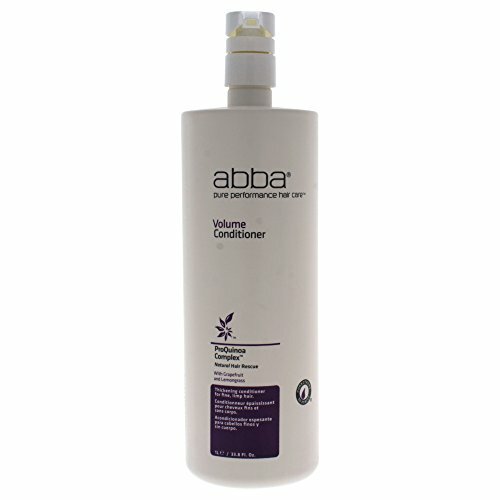 ABBA Volume Conditioner contains our exclusive ProQuinoa Complex with hydrolyzed Quinoa, Barley and Soy proteins to rescue damaged hair fibers. ABBA Color Protection Conditioner, Coconut & Sage, 8 Fl. Coconut Oil and Sage work instantly to re-hydrate and protect color or chemically treated hair for unrivaled strength, vitality and shine. Drenches hair with a protective moisture barrier that reduces color fading. 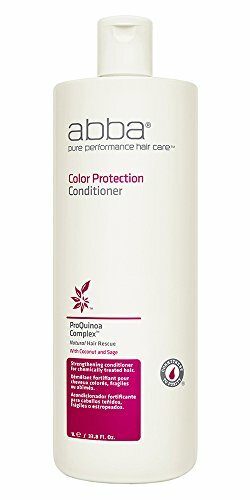 ABBA Color Protection Conditioner contains our exclusive ProQuinoa Complex with hydrolyzed Quinoa, Barley and Soy proteins to rescue damaged hair fibers. ABBA Volume Conditioner, Grapefruit, 32 Fl. Looking for more Abba Moisture similar ideas? Try to explore these searches: Light Maxim Lighting, Cute Maltese, and Shovel Bucket. Look at latest related video about Abba Moisture. Shopwizion.com is the smartest way for online shopping: compare prices of leading online shops for best deals around the web. Don't miss TOP Abba Moisture deals, updated daily.